I love Christmas time. 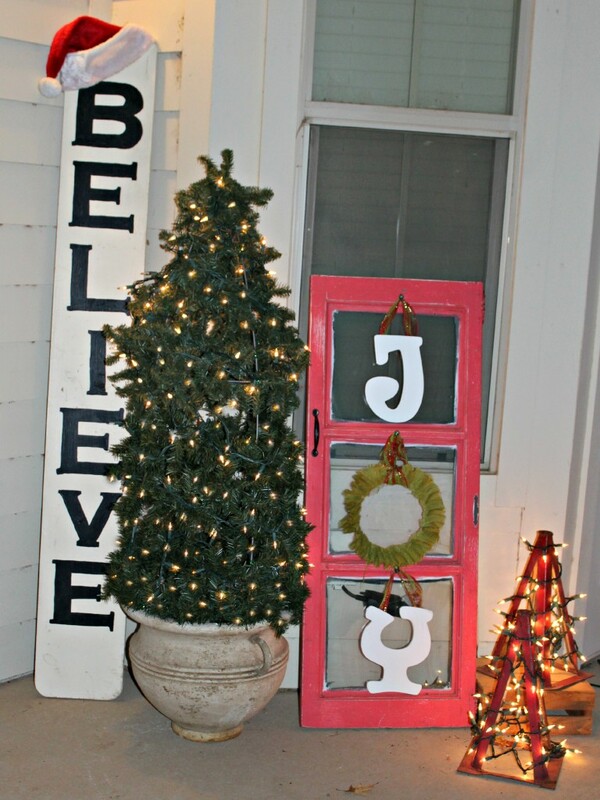 I especially love decorating for Christmas. 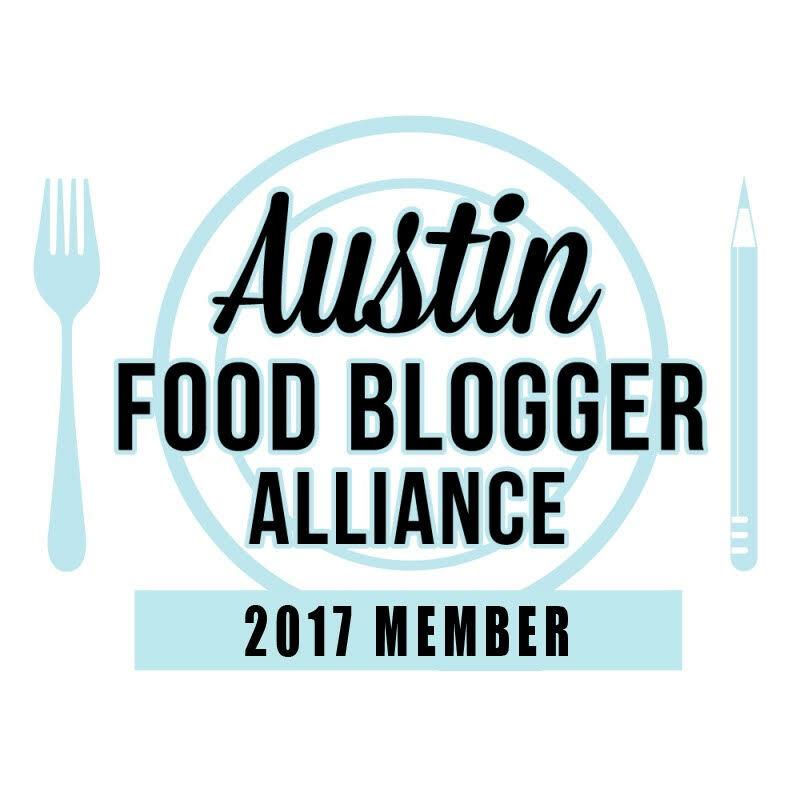 Every year I have these grandiose ideas on what I want to do then I remember my budget isn’t in line with my Pinterest-inspired ideas. This year I made all my decorations for the patio and by George, they just make me smile when I pull into my area. I use my patio entrance as my front door so I usually try to make it as inviting as possible. First I found this 3-pane window frame at an “antique” store in my hometown. My mom and I went on a hunt for items one weekend and as soon as I saw this I knew I had to get it because I had just this Christmas decoration in mind. 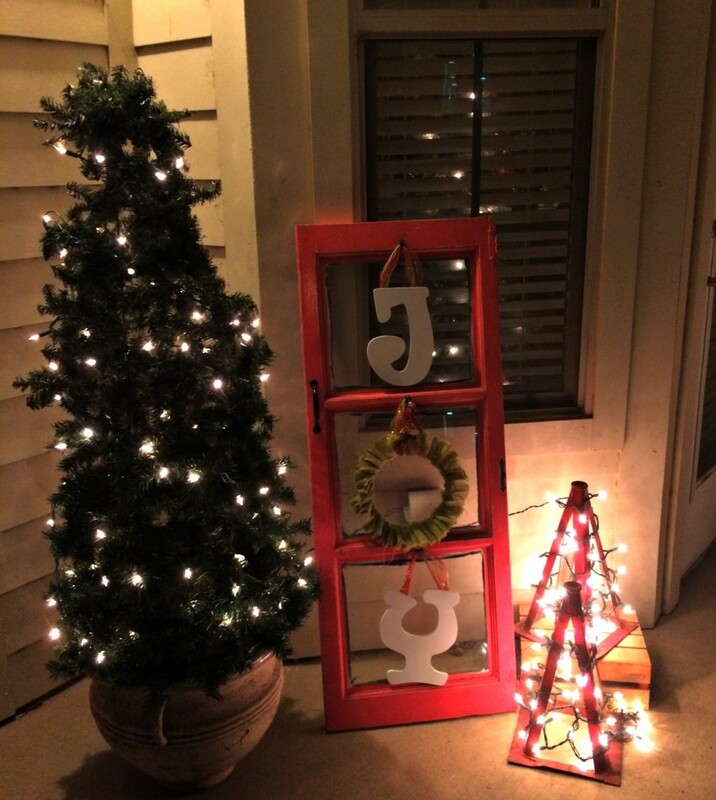 The J and Y were purchased at Hobby Lobby. I added some ribbon and a little green wire to wrap it around a nail to secure it to the frame. This Texas wind can get crazy so I didn’t want my letters flying off like my pumpkins did a while back. 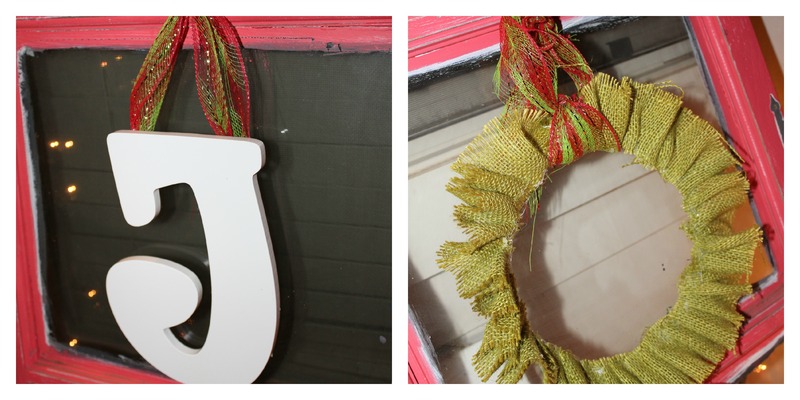 The O is made from a Dollar Tree wreath that I stripped (and used the stripped garland to decorate my earring tray into a Christmas tree) and hot glued greenish burlap to make it festive. The outside tree is a tomato cage that is fastened to a planter with tape. I then secured garland to it with green pipe cleaners. Once at the top I used the wire attached to the garland to make it into a point. Next I added lights (which the maintenance man promptly broke when he put in my remote for me but then I got to put on more lights! ) to bring some life to it. 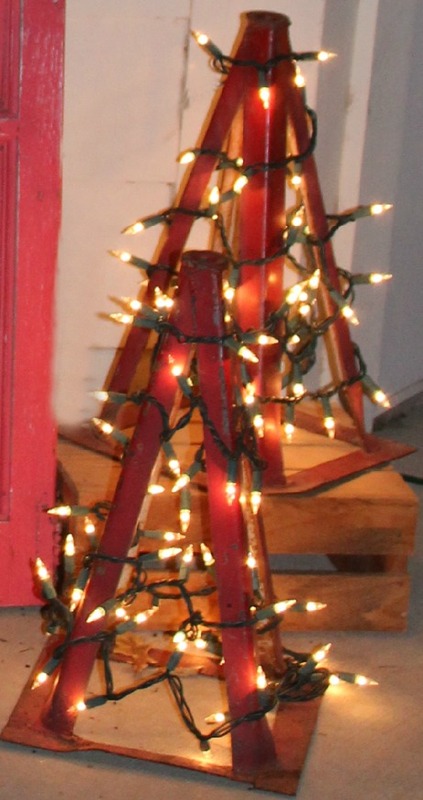 The small Christmas trees are metal frames that I purchased at a junk store somewhere around Austin. My Believe sign was so easy to make. The wood I found at the junk store at home and knew immediately it was the correct size for what I wanted to do. The owner even gave me a deal for this piece of wood and the window frame. I typed up the letters and made them as large a font as would fit on the page (all the same size), printed and cut out. I then taped them to the board and outlined with a Sharpie. Then I painted in the letters with black paint a couple of times. The Santa hat adds a little festive touch. 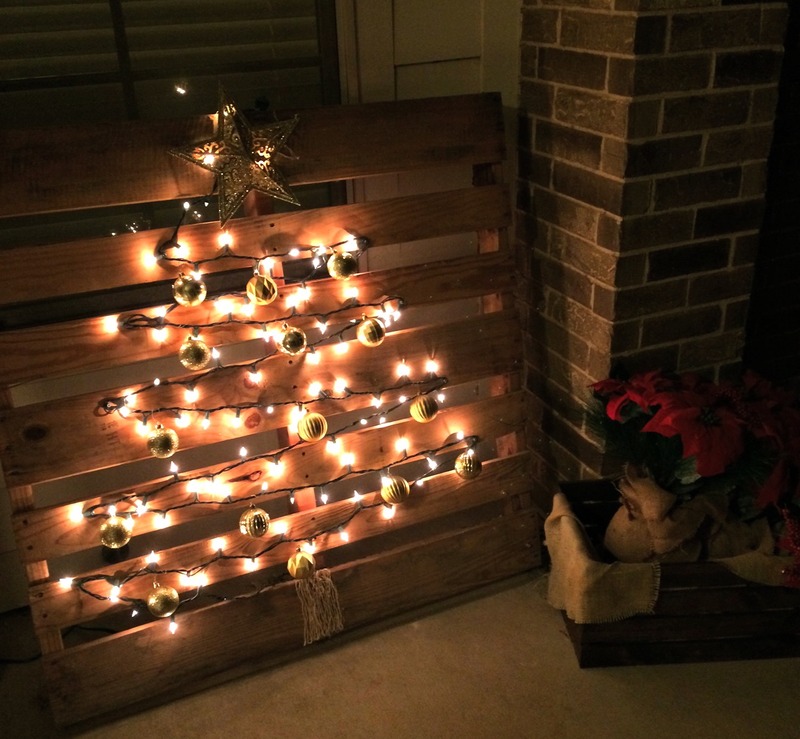 My last piece is the wood pallet frame I made from a pallet my dad had been saving for me. I drew an outline of a tree in pencil then screwed in some screws to attach the lights. You could probably use a staple gun but I hot glued some areas on the lights to keep it even more secure. Then I wrapped some plastic ornaments around that I got at the dollar store. I topped it with a dollar store topper and voila cuteness abounds.